The Colorado medical cannabis industry has stabilized after a prolonged contraction, signaling at least a temporary end to the three-year period of consolidation that saw many marijuana businesses close or merge. The number of dispensaries, infused products companies and cultivation sites that have or are in the process of obtaining business licenses in Colorado is currently at 1,413, according to the latest data from the state’s Marijuana Enforcement Division. That’s just two shy of the total at the end of last year. Most of the businesses seeking licenses are currently operating, though some that applied after a moratorium was lifted last July must wait until the process is complete to launch. The numbers paint a considerably different picture than the one that emerged over the past few years, when hundreds of dispensaries and related businesses closed as the state began implementing strict (and costly) regulations on what had been a freewheeling industry. Aside from the new rules, the market began to mature and the competition increased – meaning the weaker businesses were forced to close – while larger players began to emerge and gobble up the smaller businesses. At one point in 2010, Colorado was home to more than 1,000 dispensaries alone by some estimates – nearly double the number now. During the height of the contraction, several dozen cannabis companies were closing each month. Dispensaries – 532, including 389 that have licenses and 143 that are in the process of obtaining one. Cultivation sites – 735, including 411 licensed operations and 324 that are awaiting permits. Marijuana-infused products companies (MIPS) – 146, including 69 with licenses and 77 in the process of getting one. Aside from stabilization, another positive trend is playing out: More individuals and groups are applying for MMJ business licenses this year. Since January, the state has received applications for 15 dispensaries, 24 cultivation sites and 10 infused products companies – vs. eight, 20 and three, respectively, during the previous six-month period. The rise in new license applications could reflect, in part, a rush by entrepreneurs to capitalize on the chance to be among the first players in the recreational marijuana market. 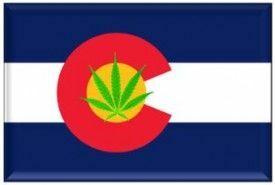 Under Colorado’s adult-use regulations, medical marijuana companies that currently hold a license (or are now in the process of getting one) have the exclusive opportunity to apply for a recreational business license until July 1 2014, when it opens to everyone. This head-start is very valuable from a business perspective, as it will allow them to set up shop and start building a loyal client base before the floodgates open. Despite the industry’s stabilization and the increase interest among entrepreneurs, the market base for state-legal MMJ sales is declining. As of May 31, 105,886 residents held valid medical marijuana cards in the state, a 3% dip from this year’s high hit in February and the lowest total since August of last year. Colorado’s medical marijuana patient numbers have fluctuated greatly over the years, reaching a high of nearly 130,000 in 2011, dipping to as low as 80,000 later in the year and then recovering in 2012 to surpass 100,000. The recent decrease in patient numbers, while slight, could be tied to the new recreational law. Some patients and general marijuana users who once had cards might have decided not to renew because buying it on the black market or growing their own without a card is much less risky than in the past. All of this – both business and patient numbers – could change significantly early next year when retail recreational marijuana stores are scheduled to open. Some businesses might eventually abandon the medical side altogether, and many patients might drop off the registry and simply buy their marijuana from retail stores, where only a driver’s license will be required.